Welcome to the Pennsylvania Dutch Council Fall Product Page! On this page you will find information to support your sale and links for resources for planning your sale, kicking your sale off, and web resources. The 2019 Fall Product sale is just around the corner and now is the time to put together all of your plans to make your sale successful! We have put together a lot of information to help you get the most out of your sale. This information will be available in several locations including the Council Kickoff, this website, and the Council Service Center. Select your Unit Kernel: This key leader will help to organize and keep your sale on track. Please, submit or have your Unit Kernel submit the Unit Commitment Form which is available online here. Set a Unit Goal: Units who have set both unit and individual Scout goals are the units that sell the most! The average unit last year, averaged around $250 per Scout which is about 8 to 14 items. Establish your unit dates and deadlines and publish them for all your parents: Most units start to distribute materials to Scouts in late August or early September. Hold a Unit Popcorn and Nuts Kickoff: A unit kickoff is one of the best ways to make sure the parents have all of the necessary information and the Scouts are excited about the sale. If you need help with setting up your unit kickoff contact your District Kernel! 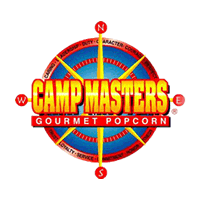 Scouts who have sold $3,000 or more have qualified for the Camp Masters High Achiever Program, please complete a prize form by clicking here and return it with the supporting documents to the Pennsylvania Dutch Council Service Center! Forms will not be accepted after December 31, 2019. Unsold product may be returned Sunday October 21st or Monday October 22nd. Returns for Sunday will be between 12:30-4:00 and on Monday between 3:30-7:00. All returns must be made at the Greenfield warehouse in Lancaster, 1905 Olde Homestead Lane Suite 10, Lancaster, PA 17601. Please do not return your leftover product to the Council Service Center, since there will not be anyone there able to help you. If you must make other arrangements please contact your District Kernel or Executive as soon as possible. No returns will be accepted after 7:00PM Monday October 22nd and your unit will be billed for unreturned product. Returns may be made by the piece. You will receive a copy of your return paperwork for your files. Damaged product, that has not been previously noted, should be returned. Returned product will be removed from your initial Show and Sell order and an adjusted invoice will be presented at the Take Order pickup and emailed to your Kernel and Treasurer, if provided on your commitment form.